DIMITAR Tennis Academy along with Education First (EF), a leading provider of English Language programs in the United States, is proud to announce the new mutual “Tennis and Language” Program for international tennis players. The idea behind the “Tennis and Language” program, is to provide non-English speaking junior tennis players the opportunity to come and train at DIMITAR Tennis Academy as they learn English in the already established by EF educational environment. 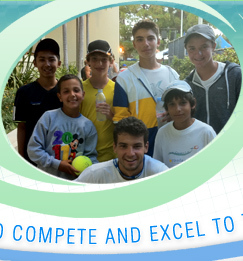 Dimitar Tennis Academy hosts junior tennis clinics all year around and we run summer tennis camps too. 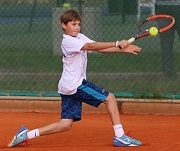 We have built a flexible schedule for junior tennis players to benefit from both learning the language and improving their tennis game. - Spanish Colonial style building and outdoor courtyard. 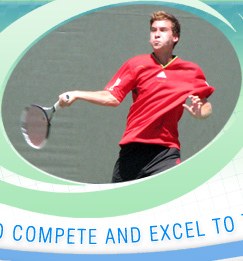 Dimitar Tennis Academy is located at the Hilton Beachfront Resort in Santa Barbara, one of the most beautiful and prestigious destinations on the west coast. The location provides a unique place to train and learn from world-class coaches and instructors while enjoying the eminence of the destination. 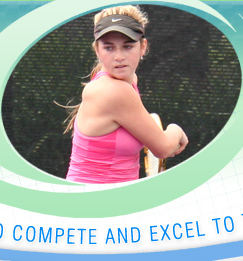 The mission of the tennis academy is to provide quality tennis instructions and an environment where players can learn to compete, win, and enjoy the game of tennis. The world-class coaches aim to install a certain mindset to students and make them better competitors. 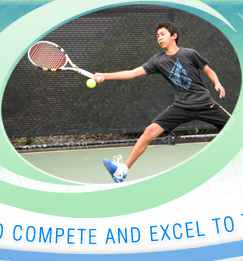 The academy focuses on developing and enhancing all aspects of the successful tennis players, including technique, footwork, fitness, peak performance, nutrition, and strategy. Each lesson or clinique includes specially designed fitness sessions with Certified Athletic Trainers and/or certified Strength and Conditioning Specialists. o	EF Course Certificate and EFCELT Report. • Vasyl at his 2016 clay journey in Europe. Great experience!!! • We are now accepting players for the 2018/2019 Tennis Academy program. Players must demonstrate advanced skills during their player evaluation in order to be considered. Space is very limited so please contact us for more information. • All of our junior clinics are now certified for independent Physical Education (PE) program. 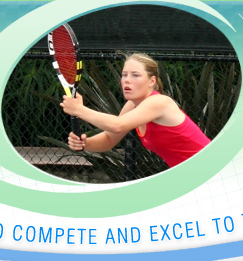 • We are proud to announce the new “Tennis & Language” Program for international tennis players. 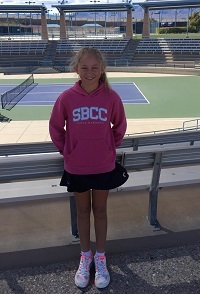 The program is for non-English speaking junior tennis players who can come and train at Santa Barbara School of Tennis as they learn English in a leading ESL program in Santa Barbara, California. For more information, please contact us. 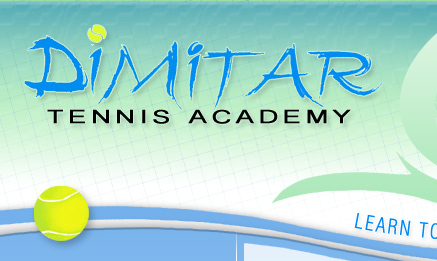 • Dimitar Tennis Academy offers seasonal/part-time employment as tennis coaches for international student tennis players as interns, CPT (curriculum practical training-during the course of study) or OPT (optional practical training post-graduation). Please contact us for more information. • Grigor Dimitrov beats David Goffin to win 2017 Nitto ATP Finals title! Grigor finished as world number 3 for 2017. 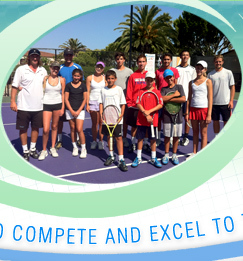 Copyright © 2009 Dimitar Tennis Academy – Santa Barbara, CA. All rights reserved.